Another week flies by and here we are once again…just a few hours away from showtime. On tonight’s show, we’ve got all your requests to play, plus a few tracks from bands who released albums this week back in the day, and we’ll see if we can fit in one or two songs which feature artists who would be celebrating their birthdays. 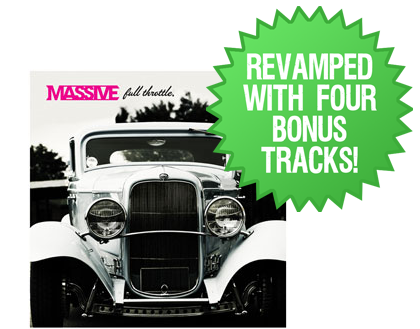 We’re following last week’s Black Stone Cherry competition with another; one which features Aussie band Massive, and a chance to win a CD of their debut album ‘Full Throttle’ (out July 21st on Earache Records), revamped with four new recordings. The competition will open at 8pm tonight – look out for more details on that later on. All this and much, much more besides, including something from the new Judas Priest album ‘Redeemer Of Souls’, Deep Purple, Night Ranger, David Lee Roth, Night Ranger, Faster Pussycat, Megadeth, W.A.S.P., Saxon, Quiet Riot, Bon Jovi, Status Quo, Budgie, Iron Maiden, Rainbow, Guns N’ Roses, Killswitch Engage, Kingdom Come…phew! Tune into the show from 7pm tonight via the links on our homepage www.theclassicrockshow.co.uk. Join in the conversation on Twitter and our Facebook Group.